Use any image to create thumbnail pictures with this program. Not in the mood to draw? 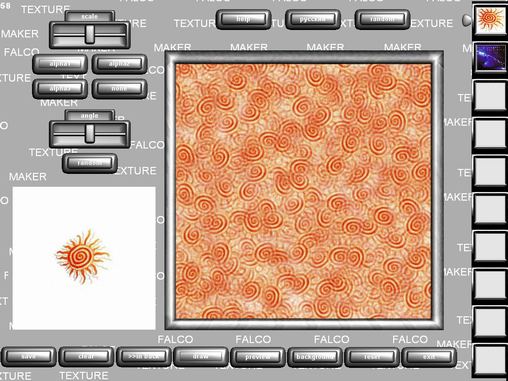 This program can generate random and tiled textures in a snap. Simply insert any image and the finished product is generated automatically! Visit our site to know more about Falco Software products at www.falcoware.com.